mornings on The NBC TV Network. My all-time favorite... Tried to become a contestant a couple times (in the 70's Jack Nars era)... Raced right through the tests, but my introverted personality didn't fly so well with the selection committee. 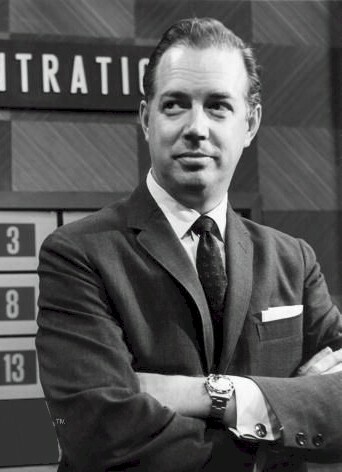 Whenever I had a cold and stayed home from school, I'd spend most of the day watching TV game shows, and Concentration was one of my favorites. 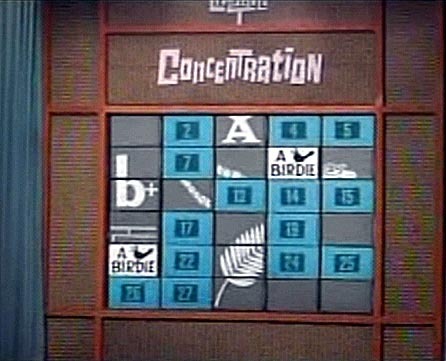 I could often solve the rebus puzzle long before the contestants on the show. Some of them, I think, also had it figured out but delayed guessing until they could rack up a few more "gifts". Sometimes this strategy backfired, of course.